They are the essential building blocks for a great lighting package. Grip trucks not only get your gear from here to there, but they also keep your production running smoothly and on schedule. 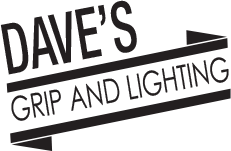 Like most lighting rental companies, Dave’s Grip & Lighting rents grip trucks as well. In fact, we believe we’re South Florida’s most experienced and professional grip truck rental company! 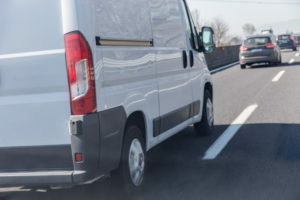 Whether you’re new to the job or are a seasoned veteran working with outside vendors like production rental houses, understanding the equipment that’s in your grip truck and how to properly handle it is a must. It also ensures you get the right sized truck with the equipment you need based on the type and size of your project. We have a variety of grip trucks including 10-ton 5-ton, 3-ton, and 1-ton van packages. Your grip truck rental comes with or without a driver, and is pre-loaded with a variety of lighting, grip, and miscellaneous gear. Customization is always an option. This is not your standard minivan or sprinter! Sprinter trucks are typically used for small stage work, run-and-gun shoots, and independent narrative films, our 1-ton cargo van is a video producer’s dream. It’s perfect for small commercials, easy to park, and filled with must-have gear like C-stands, scrims, flags, clips, clamps, and more. This van is ready to go at a moment’s notice for your next production! Ideal for webisode’s, corporate videos, industrials, and smaller commercials and indie features, a 3-ton grip truck rental also has plenty of interior space for add-ons. It moves quick, handles nicely and, thanks to a highly functional shelving and cart layout, loading and unloading is super fast. Small enough to fit nicely on jobs that require more than our 1-ton van package can offer, it comes equipped with a big selection of stands, apple boxes, blankets, clamps, silks, frames, expendables, and a whole lot more. It also includes c-stand, cable, sandbag, header, and flag/net carts. Looking for a grip truck rental that adds some lights? Our 5-ton package has a little of everything and a lot more than other production equipment rental companies offer in Miami. A full-feature truck, it can haul twice the weight of a 3-ton. It has frames of every size, two stand carts, a full complement of c-stands, as per use HMI’s, LED lights, Arri Sky panels S60 and 11 ARRI tungsten lamps, as well as ETC Source Four 26 Degree 750w light for long throws. And there’s an abundance of expendables. For larger productions, we also offer a 10-ton package that’s designed and built with a bigger crew in mind. Depending on the package size you rent, consider scheduling a full or half prep day for one or 2 people. Have a newbie on the crew? Let them tag along so they can familiarize themselves with the gear and truck. Loading a small to medium sized grip truck doesn’t take more than an hour—if it’s done right. Of course, the time will vary depending on the size of your crew and how involved the shoot is. No matter what budget or size, there’s a two-point system for loading a grip truck that always works well. Once wrap is called, assign grips to specific jobs. One or two may be tasked with wrapping cable, another to taking down lights and bringing them to the truck. Make sure light stands are all placed in the same area and make separate piles for cables, sand bags, and so on. And have two or more people on the truck handed the gear from outside in an assembly line fashion. This ensures all the gear ends up in its proper place. Here are a few tips for dealing with a grip truck rental house on the day of pickup and during production. Before you pull out of the lot, make a final count to ensure all of the gear you ordered is on board..
Keep the truck tidy at all times so gear is easily and quickly accessible. Place ladders, frames, etc. in overhead storage if provided. Keep carts organized and put on the brakes. Communicate clearly when using the truck’s lift gate. Every production is challenging. But having an experienced partner like Dave’s Grip & Lighting to help with your grip truck rental is one of the smartest pre-production moves you can make. And if we don’t offer what you need in-house? We’ll help you find it! Our wide range of services includes a fleet of grip trucks that add enormous value to your production while protecting your bottom line. To learn more about all the grip and lighting services we offer, call us today at 305.409.0009, or contact us online.